I have been doing fun mini-reviews on goodreads though, and had many lovely conversations over current reads on WAYRW posts as well as on Instagram. 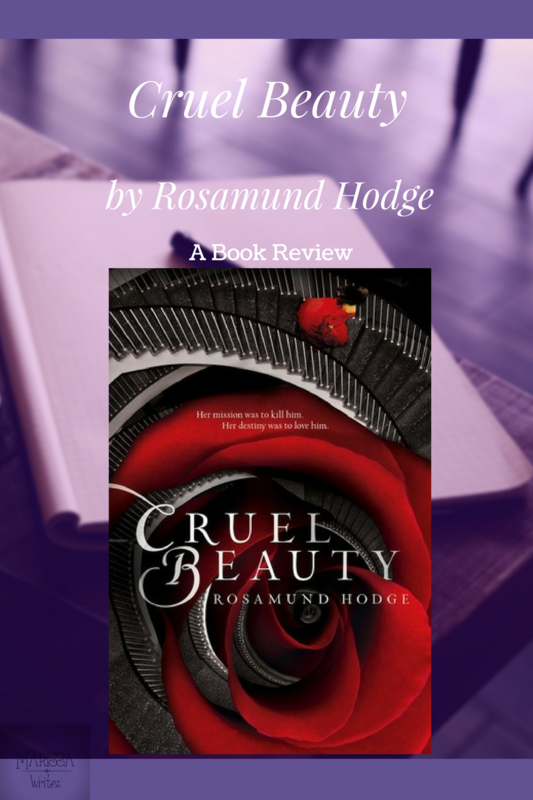 But since I decided to join in with the TBR Pile Challenge, it is time to share my first review! 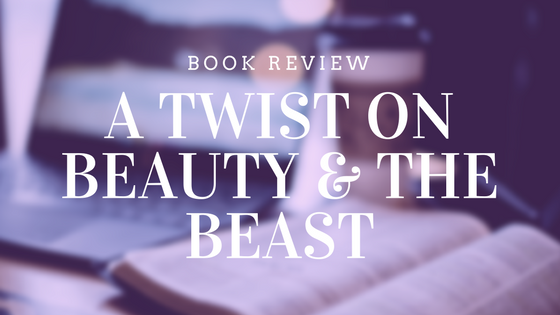 And of course it would be the Beauty and the Beast retelling that was on my list! 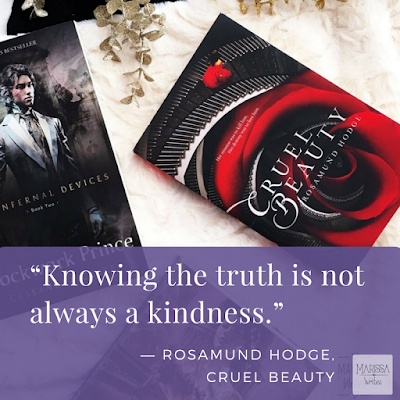 So excited to chat about this one... so if you read Cruel Beauty, get ready to gush with me. If you haven't, go add it to your TBR. Nyx has a tragic home life, and it's quite the fairy tale setting - which it needs to be! But the twist to the classic Beauty and the Beast is that Nyx is betrothed to the Beast, Ignifex, and has been for as long as she can remember. By marrying him, she will protect her sister, the only member of her family whom she truly loves. While Nyx is determined to find the way to break the curse while she is the evil lord's wife, she starts to learn more and more of the secrets Ignifex keeps inside his castle. And the powers of the servants surprises her. Overall, this new take on a classic might surprise you with its twists and turns. Nyx is not the typical beauty character in that she didn't wind up prisoner in the castle. She knew she would be the wife to the evil lord of the kingdom, and had prepared her entire life for it. So when that day arrives her mindset is very different that I would have ever expected - it's wonderful. The fact that this is only one book... yes there is a second book but it's not part of this story... and I wanted more! I guess that's a sign of a good book... by why say there is a second book if it doesn't actually advance these characters? And trust me you will want to know more about these specific characters! On the topic of more... there could have been a bit more in helping the reader see what was happening in part two of the story - I can't go into specifics without spoiling it. But if you are not knowledgeable on the mythology some major plot points will get confusing and hard to follow. And while I am mythology nerd, -and saw them coming a mile away, and it was soooo good! -well not everyone is, so maybe that could have been a turn off for some. My point... push through it if gets confusing, the ending is worth it. Alright, this is totally a four and half heart rating, but I don't have a little graphic for the half... and it's only because I wanted more... I am still dealing with the book hangover of this... so aggravating! The pacing of the story was good, the characters are very complex and adorable, the twists were fun, and the ending... well you get it. Any fairy tale fan should probably add this to their list. This is clearly a Young Adult book, and considering all the possible angles this could have gone, it's a clean read. Which is good, too many current retellings take the YA into NA quickly. There are some seriously intense love scenes, that somehow manage not to actually say or "show" anything... if it were a movie I'd say that was some amazing camera fades... but its necessary because of the story line. Nothing is over the top. Yes the story is about love and romance, and there might even be a love triangle (not really) but that is the point of Beauty and the Beast... and still the plot pulls the entire thing together in a way that even those who are not fans of romance will probably be all about this story. 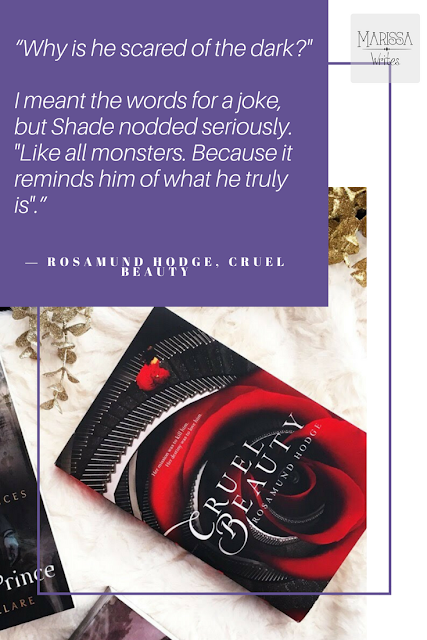 (For those of you who are still mad at me for all the over the top love scenes of ACOMAF, this is not like that... nope, not at all... Rhi I'm totally talking to you). So fairy tales are always full of lessons, of a chance to see the reality of the world while encased in the safety of a fictional tale. When I pick up a fairy tale reimagining I want there to be those characteristics - a chance to see a lesson, a glimpse of reality and a way to live with more knowledge now. This book can bring up many of those points thanks to all the nods towards Greek mythology - the lesson of the furies is often ignored... so maybe brush up on those... And then of course Bluebeard... the lesson of being strong enough to always get away... But about the need to trust and love? How does one trust and love when the world seems so full of darkness, and hate, and deceit? That is a question that this books pulls through the entire story, and one that readers will have to answer on their one. 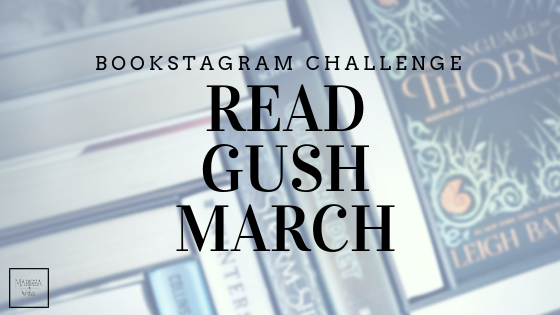 This is my first entry for the TBR Pile Challenge, and I'm hoping to stay on top of the list this year... maybe get done early. Are you participating? Do you have a stack of books you own, but haven't read? Join us! I don't see why you can't jump in whenever... 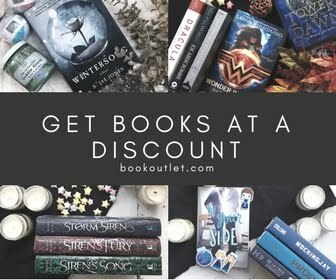 I'd love to see what you decide to pick up and review even if it isn't a new book!